Film and Television Institute of India will be issued FTII 2020 Admit Card online. The admission in FTII and SRFTI are being done through Joint Entrance Test (JET). Candidates can download JET 2020 Admit Card from this page. Candidates who will successfully submitted their application form can download the admit card by entering the username and password. The admit card will contain the personal details of the candidate and basic information of the exam such as date, time and venue. 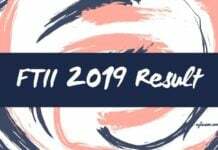 Check more details about FTII Admit Card 2020 from the article below. The official release date of FTII Admit Card 2020 will be announced. Candidates can find the date of release of the same in the table below. Candidates can check the direct link on this page below to access the admit card. The FTII Admit Card will available in online mode only. No printed admit card will be sent to the candidates by post/courier. Admit Card: The FTII Admit Card 2020 will be available at the Official Website: www.ftiindia.com. 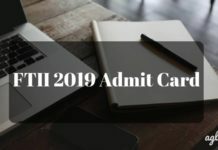 How to Download the Admit Card for FTII 2020? Click on the link that has been provided on this page to download the admit card or visit the official website. Click on ‘JET 2020 Admit Card’. A new window will open. Enter the Email ID and Password and submit the verification code. Download and take the print out of the admit card. Without the admit card you will not be allowed to take the examination and thus candidates must preserve their admit card till the admission process ends. It is possible that you may forget your password in the due course of the application process. In that case, you need not panic, as you will be able to retrieve it easily. Follow the steps below in case you need to retrieve your password. Click on ‘Forgot Password?’, below the submit button. A new window will open. Enter the details and click on ‘Submit Password Reset Request’. In the next step, you can reset your password. Agartala, Ahmedabad, Allahabad, Bengaluru, Bhopal, Bhubaneshwar, Chandigarh, Chennai, Guwahati, Hyderabad, Kolkata, Mumbai, New Delhi, Patna, Port Blair, Pune, Raipur, Ranchi, Srinagar, Lucknow, Dehradun, Jaipur, Imphal, Jammu, Gangtok and Thiruvananthapuram. The examination for admission in FTII will follow a pattern of its own. The details of which are described below. The total marks and duration, also the type of paper is all described herein. 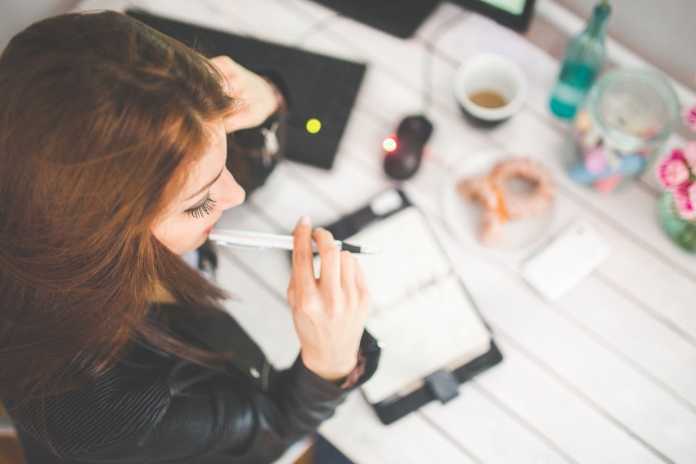 Candidates must go through them to be prepared for the exam day. Papers: 2 wings- Film Wing (Paper 1 to Paper 9) and TV Wing (Paper 10 to paper 15). Examination of all film wing courses will be conducted in the morning session. Similarly, examination for all the TV wing courses will be conducted in the afternoon session. Each Question Paper will consist of maximum 100 marks, which will be further sub-divided into 50 marks for MCQs and 50 for descriptive answers. The answers to Multiple Choice Questions will have to be marked on OMR sheets provided to the candidate. Note: A candidate is allowed to apply for only one course in the Film Wing group and only one course from the TV wing group. The test papers will carry a maximum of 100 Marks, which will be divided into two sections of 50 Marks each. Q. Can I change the schedule or venue of the examination? A. The examination schedule and venue once issued are final and any request in this regard will not be entertained, whatsoever. Q. One of the detail printed on the admit card is incorrect, What should I do? A. After downloading the admit card, candidates must ensure that the details printed on the admit card is correct or not. If there is any kind of error or discrepancy in the admit card, it should be brought to the notice of FTII Authorities immediately. Q. 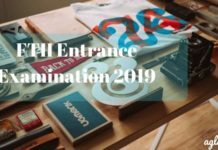 What will be the medium of the Entrance Test? A. The FTII 2020 Entrance Exam will be in English medium only. Q. Will I receive my admit card at my mail address or through the post? A. The admit card will be available through online mode only. No, admit card will be sent to candidate individually through post or mail. Q. Is digital copy of the admit card acceptable? A. No, candidates have to bring the hard copy of the admit card. Digital copies of the admit card or the id proof will not be accepted.